Mechanical engineering alumni Bryan Calungcagin, now a research and development test engineer with Northrop Grumman, returned to campus Wednesday with some advice. All that theory in courses like power plant design, control systems, and finite element analysis? Students are actually going to need it once they start working in the engineering field. “Everything you learn in school, you’ll use,” said Calungcagin, who graduated from CSULB in 2012 and is now working on his master’s degree in systems engineering at Loyola Marymount University. Some other things also won’t change. Calungcagin said he’s transitioned from studying until “three or four in the morning” to troubleshooting projects late at night. His trajectory isn’t typical. Calungcagin said he spent several years working as an auto mechanic on race cars—satisfying his innate urge to take things apart—before he realized he wanted to be designing not swapping out broken parts. He came to CSULB as a transfer student from Fullerton College. Unfortunately, he and other members of his graduating class faced dismal job prospects in engineering due to the recession. Calungcagin said he sent out about 1,000 resumes, then began attending job fairs asking employers what qualities they were seeking. In his sector alone, Calungcagin said Northrop Grumman is hiring 700 interns, who will have a chance at being hired for an entry-level job. The company looks for a GPA of at least 3.25 and experience with projects. He encouraged students to think big. 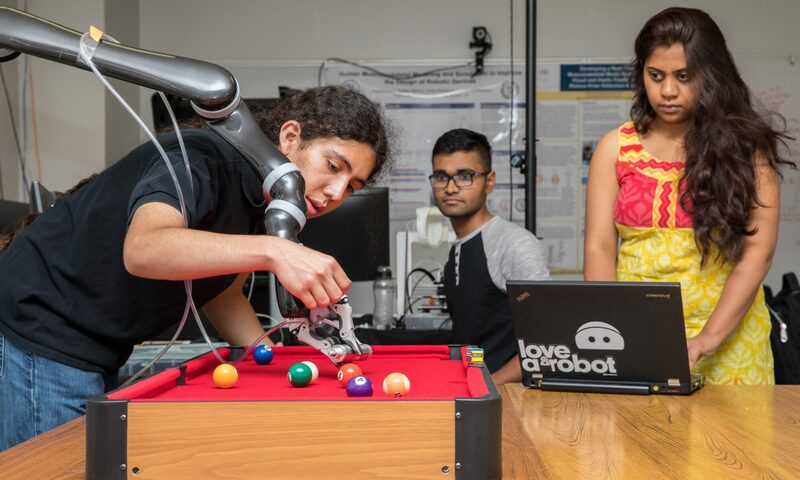 For example, a 3D printer with a robotic arm that can work in a vacuum could be used for manufacturing in clean rooms, printing parts to help astronauts with repairs, or colonizing Mars. Engineering also requires some quick thinking. 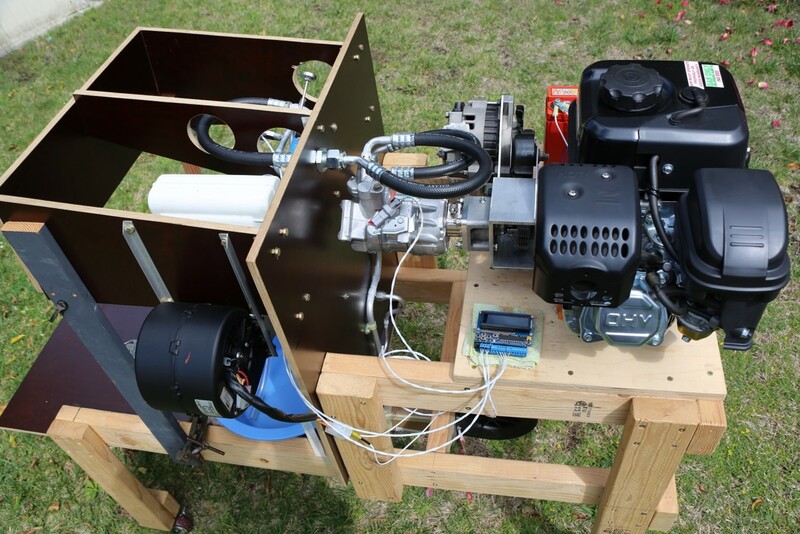 When he was presenting his senior design project, which involved building a fire protection system, they burned out the motor during the demonstration for the Fire Department. To get the demo back on track, a team member had to run to Home Depot and buy a new motor. Calungcagin’s presentation was part of the COE Office of Professional Development & Internships’ Speaker Series, which provides students with advice on resume and networking, as well as perspectives of engineers working for various companies. 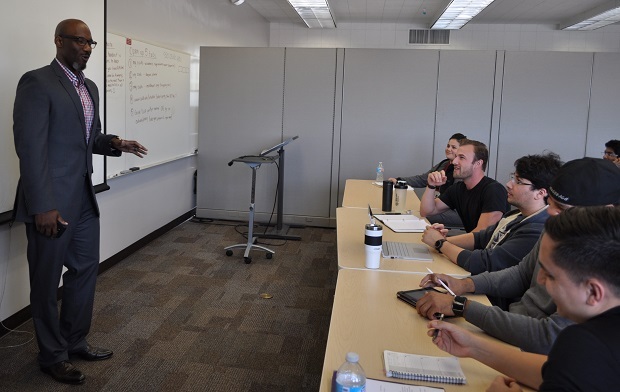 On Wednesday, the CSULB College of Engineering will mark the opening of a new Veterans Resource Center, along with scholarships donated by Northrop Grumman. The PlaneKool prototype Heinrich Gerhardt designed is half the weight of competitors. Senior capstone projects are supposed to measure students’ experience and knowledge—and in the case of Heinrich Gerhardt, there’s a lot to measure. A Northrop Grumman engineering designer for more than a decade, Gerhardt headed back to school part-time in order to get a promotion at work. He’s been attending Cal State Long Beach for five years now, and is enrolled in Manufacturing Engineering Technology, a major that’s no longer offered. 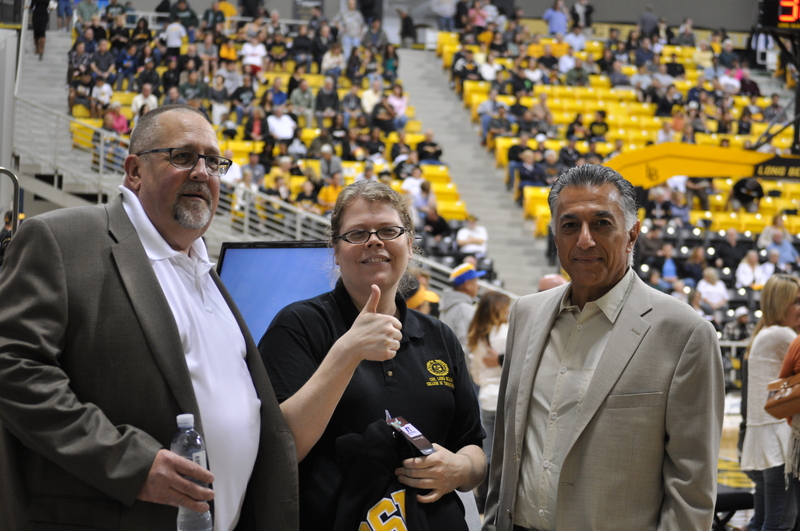 CSULB engineering alumni Jim Green, left, with half-time contest winner AESB President Raina Aydelott and Dean Forouzan Golshani. College of Engineering alumni, faculty, staff, and supporters helped cheer on the Long Beach State Men’s Basketball team to a 74-72 victory Saturday over top-ranked Hawaii State during the Inaugural Engineering Night at the Pyramid. Is Southern California Ready for El Nino? 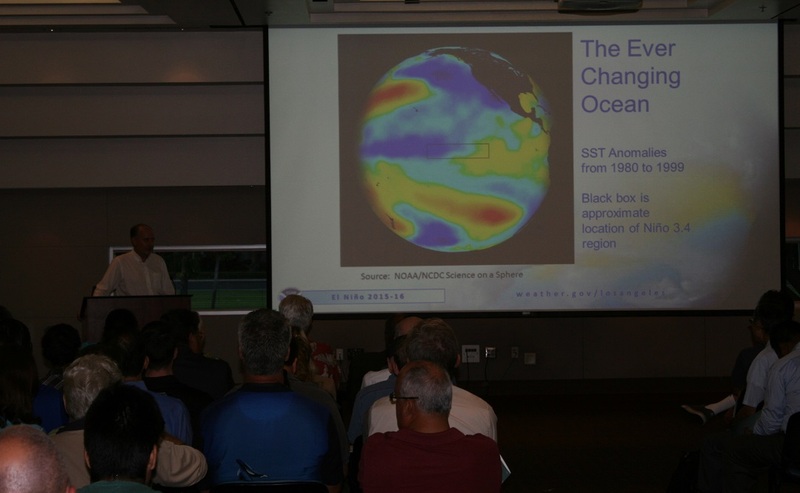 Speakers at the CSULB College of Engineering Distinguished Lecture Series Thursday agreed that a strong El Nino is brewing, and Southern California should be braced for higher-than-average rainfall this winter and spring. Although engineers and planners have learned much from past El Nino events, large-scale infrastructure improvements are still needed to prevent severe damage from future storms. 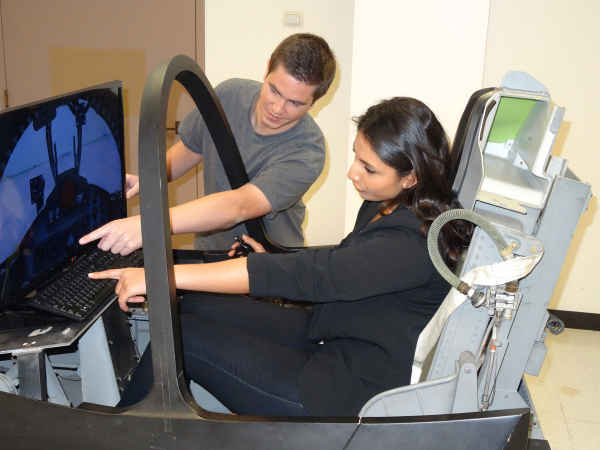 The future of cockpit design may be recast for tomorrow’s fighter pilot thanks to Northrop Grumman-sponsored research led by College of Engineering Dean Forouzan Golshani. He explained that a cockpit is all about interaction with the environment and how information should be transmitted to the pilot. Student participation in the research will yield thesis topics for individual graduate students and senior projects for groups of students. One of the project’s most useful tools is a wheeled flight simulator based on the design of Northrop Grumman’s F-5A/B Freedom Fighter. “The instrumentation has been taken out but our research will depend on what we build around the cockpit,” he explained. “We will build a virtual cockpit. Everything has to be tested before we can say this can be part of our future cockpit. And once we are ready to build it, we will ask the question, where in the aircraft should it be? Golshani is pleased by the opportunity for the university. The College of Engineering has been selected to be one of Northrop Grumman Corporation’s Core University Partners. Northrop Grumman’s Core University Partners are selected for their ability to play a key role in generating the knowledge, innovation and talent required to maintain and increase the corporation’s global competitiveness. 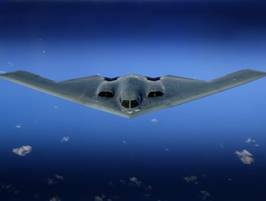 The College of Engineering has a longstanding relationship with Northrop Grumman’s Southern California divisions, and has long provided them with engineers who go on to play vital roles in the company’s development of some of the nation’s most advanced systems. This relationship between Northrop Grumman and the College of Engineering has recently grown to include joint research endeavors—which is an honor generally reserved for prominent research-oriented institutions—and now the company’s corporate group is recognizing the COE as a Core University Partner.